We were stablished in January of 2014 out of a necessity to satisfy a demand for quality repair work at a fraction the cost of dealer prices. We were tired of being mistreated and overcharged every time we took our car to a repair service center. All our staff have years of experience in franchise dealers and provide the outmost ethical and trustworthy level of service that you could ever found in this industry. We are a full spectrum foreign brand repair facility, offering a broad variety of services that range from a complete specialilized Mechanic Shop, Auto Collision Center and full Auto Detailing with auto recon services. We are truly your one stop for all your auto repair needs! "Eurrotech is so great. Jon is the man, he did great the first time I went to them; then when I had some suspension issues I went back to Jon. He got my warranty to cover a lot of what was going on. They’re prices are very realistic and affordable. If you want an honest diagnosis of your cars issues, you’ve got to go see Jon." 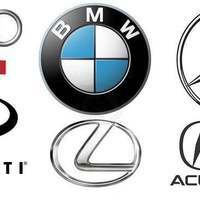 "I just got my coolant system flushed and leaking radiator hose replaced in my Mercedes M- Class. They did a great job at a reasonable price. I've been taking my Volvo and Mercedes here for a few years and always have good experiences. Thanks guys!" "Just like to give my experience with owner Jon Tucker. I have a 52 Korean Willy jeep that needed some work. I called several shops trying to get it worked on and no one wanted to work on it. Owner Jon said" I'm not scared", I can handle it I'll come pick it up. While in the shop communication has been on going, and the craftsmanship of the work has been subperb. I'm looking forward to an on going relationship with Eurrotech in the future. Prices are fair, and the results are quick. Couldn't be more happy with my experience. Eric DeFeo"
"I previously brought my car to Eurrotech and had a different experience than my recent visit which is disappointing. I took my car to the establishment and was told that I would know something by end of day. I understand things get busy and things come up so when I didn't hear anything that day I was not stressing. I eventually got a synopsis of my car 3 days later which was what I expected based on codes I received from Auto Zone. I was quoted $800 to change one of the fuel injectors and to replace the spark plugs (not a full tune up just a partial). I am not a mechanic neither am I a guru on cars but that was a red flag. 6 labor hours for replace and injector and sparks seemed aggressive. I hate that I had to shop around by the customer experience was not what I expected this time around and trust was lost. I found a place that found the issue in 45 minutes. Full tune up (replaced intake gasket, spark plugs, air filter, and ignition coils), oil change, and replaced fuel injector for $300 cheaper. The $190 I paid for a 3 hour diagnostic with Eurrotech was a sunk cost but you cannot put a price on piece of mind. Maybe someone else will have a different experience." "In Sept of 2016 I purchased a 2003 Audi TT from Ottosource, which had roughly 63K original miles. 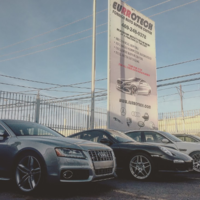 Ottosource informed me that Eurrotech, an Automotive Repair facility, owned by the same individual as Ottosource, had done a thorough inspection of the Audi (Ottosource proudly displays this relationship on their website as well). Before I had driven 200 miles, the Turbo System on the Audi failed so I had the Audi towed to Eurrotech. It is understood that I had purchased the Audi on an ‘as-is’ basis and I was liable for all repairs after this purchase. I didn’t feel that having a major system failure before I put 200 miles on the car was a reasonable expense I should bear regardless of an ‘as-is’ contract, which I expressed to Ottosource. The manager of Eurrotech, Jon Tucker, understood my concerns and advocated on my behalf with Ottosource. Mr. Tucker was under no obligation to interact with Ottosource nor did he have any obligation to repair my car other than an agreement he and I may reach. Mr. Tucker and his team not only repaired the Audi in a professional manner, Mr. Tucker was also able to obtain a $1K credit from Ottosource towards the repair. My cost was $2,500 and the repair was completed in early November 2016. 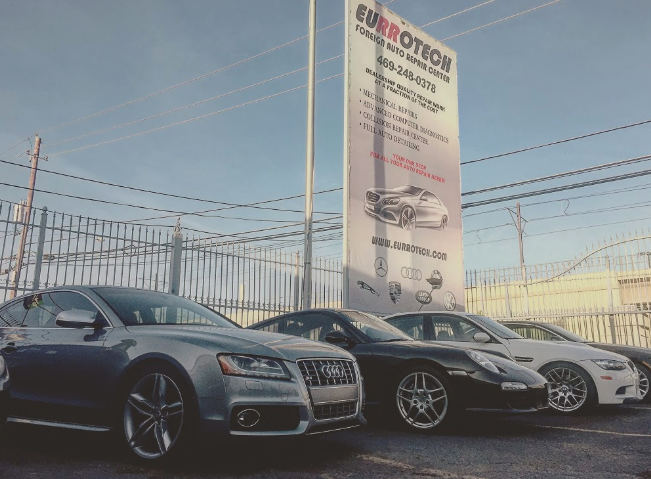 In January 2017, I took the Audi back to Eurrotech due to another mechanical issue. Mr. Tucker was again professional and he and his team repaired the Audi. Mr. Tucker told me it was a minor issue (vacuum hose) and therefore didn’t charge me. In April 2017 I again took the Audi back to Eurrotech for a different mechanical issue. Unfortunately, this was a major issue, which ultimately left me with two choices, rebuild/replace the head or replace the entire engine. At this point I had only put about 1,500 miles on the Audi and feel I acted like any customer of Ottosource when I asked them to help with the repair. The combined cost of replacing the Turbo System, the downtime of not having the car and now replacing the engine (approx. $5K) was almost as much as my original purchase price. I again presented my case to Ottosource. Personally, I think if Ottosource realized one of their vehicles was going to fail like the Audi, it would not have sold the car to anyone. Unfortunately, it did fail, and, as an Ottosource customer, I felt they had some obligation to support me regardless of any contracts since this was, in my opinion, an extreme situation. Ottosource felt that since they had contributed to the Turbo repair, they had fulfilled any and all obligations to me. However, once again, Mr. Tucker (Eurrotech), went the extra mile. He worked to find savings throughout the repair and was again professional and polite. I am offering my story to help any potential customer of either Ottosource or Eurrotech. My personal opinion is that I don’t expect any company to be perfect since they are managed by imperfect people, myself included. I do, however, believe in honor and integrity and when the anomaly occurs you can easily see the true nature of a company in how they treat a customer in this situation. I have learned to trust Eurrotech (Jon Tucker) and will bring my car back to him in the future. With Ottosource, in my opinion, they demonstrated that its profit is far more important than my loss."